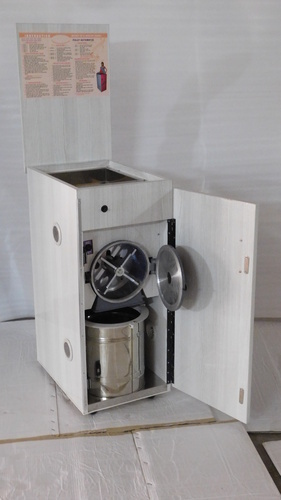 We are leading manufacturer of all type of Flour Mill Machine . We are leading supplier and exporter of Atta Chakki machine. Dimensions (L*W*H) in feet 29" X 17" X 14", 29" X 17" X 14"
We “Dharti Industries” located at Rajkot (Gujarat, India), have achieved an ISO 9001:2008 certified in the field of manufacturing and supplying high quality range of Domestic Flour Mill, Fully Automatic Flour Mill, Stoneless Flour Mill and Pulverizer Wet and Dry Grinder. Our firm came into existence in 2012 with skilled team of professionals. Our professionals manufacture these products using high grade components with the help of latest machines as per the defined industry norms. These products are available in different specifications as per the needs of the clients within promised time frame. The entire range of products is appreciated for high strength, long service life, corrosion resistance and easy installation. The main feature of these machines is low maintenance.